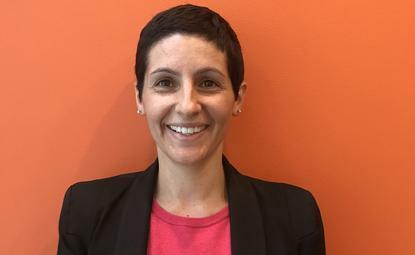 World Vision has recruited Officeworks former CRM and digital marketing leader, Teresa Sperti, as its first chief marketing officer in a bid to ramp up digital investment and deepen ties with its supporters. Sperti was most recently with retailer, Officeworks, where she was responsible for leading national CRM and digital marketing strategy and played a key role in spearheading digital transformation. Prior to joining the retailer three years ago, she spent two years in Coles’ liquor division as a marketing manager across digital, ecommerce and loyalty. Her resume also includes a stint as head of marketing and product for realestateview.com.au, and The IT Job Board in the UK. World Vision CEO, Claire Rogers, said Sperti’s track record in digital change and content marketing would greatly assist the organisation better connect with the next generation of supporters in Australia. “Teresa has over a decade’s experience in the digital space and has demonstrated a clear passion and gift in leveraging technology and digital innovation to deliver new ways to connect and engage with audiences,” Rogers said. The CMO role is a newly created one, and follows Rogers’ own appointment as CEO of World Vision last November after leading digital banking at ANZ. Rogers replaced well-known and long-serving World Vision leader, Tim Costello, who has since taken the role of chief advocate for the organisation. Sperti said she was excited about the opportunity to join World Vision at a time when the charity sector is facing substantial change and ever-increasing competition, and is looking to digital investment in order to cope. Her remit includes acquisition, retention, content, solutions design, creative, analytics and insight. Sperti told CMO Rogers’ appointment had set the tone for where the organisation is prioritising its energies and efforts. “What is appealing is when you have a board that appoints a CEO with a digital mandate – it demonstrates an appetite for investment and change in the organisation,” she said. “That aligns with my sweet spot and passion points from a marketing perspective. It’s also a role where I can make a difference. Digital will allow World Vision to explore and demonstrate how support contributions are making a difference to the most vulnerable of communities and enable Australians to see their impact in real time, Sperti said. Sperti is based out of the head office in Melbourne and officially started as CMO on 8 May.